Pet owners trust Summer Hill Vet to care for their furry friends. Summer Hill Vet trusted us to build them a new, user-friendly site with comprehensive information about their services. Summer Hill Vet takes care of the family pet. There’s a kid-friendly section on the website as well as a list of service, from surgery to grooming. 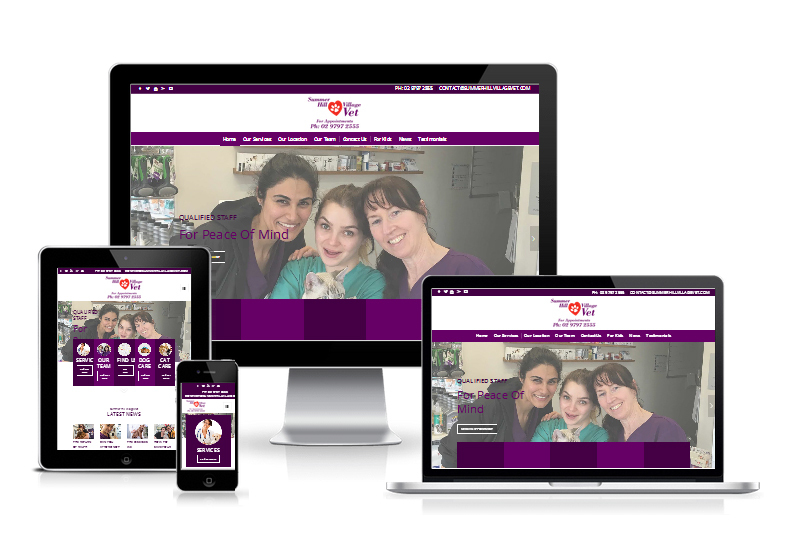 We worked closely with Dr Lydia and Dr Sandra to deliver a user-friendly site. We rebuilt the pages on a WordPress theme and implemented pet “icons” on the client’s request.